Following the road from Port Ellen along the south coast of Islay, home to the boldest and most intense of all peat monsters, the adventurous whisky explorer will pass two world-famous distilleries, Laphroaig and Lagavulin, before coming to rest at Ardbeg distillery, where the road comes to an end. This whisky was only available to committee members and some of the whisky has been matured in virgin oak wood that has come form the Adyghe Republic near the Black Sea. 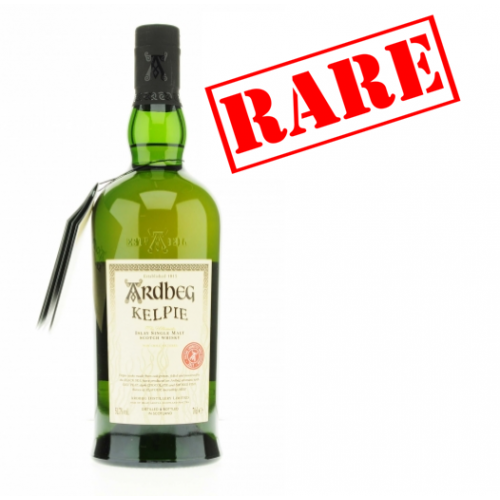 The general release of this bottling will be on Ardbeg Day, 3rd May 2017. Please note due to the age of the bottle, the condition of the labels, packaging and also the fill levels. Nose: A wonderful, intense, ‘dancing’ nose, with lots of different, intertwined aromas – powerful, oily peat, dark chocolate, smoked fish, hints of seaweed, and a curious, sharp herbal note. Waves of spicy, black pepper. Palate: A peppery mouthfeel is followed by a crescendo of rich flavours. Treacle toffee, Turkish coffee, smoky bacon and lots of dark, dark chocolate. Finish: Seemingly lasting forever, with deep, deep, almost subterranean flavours of clove, tar and rich toffee.